THERE HAVE BEEN fresh calls on Egypt to release Dublin teenager Ibrahim Halawa, who has been held for more than one year in prison without charge. Sinn Féin’s Dublin MEP Lynn Boylan made the call on the floor of the European Parliament and asked for the EU to intervene. The 18-year-old was arrested at a rally in support of ousted Egyptian leader Mohammed Morsi 13 months ago. He has been held without trial along with other Morsi supporters. A mass trial of 480 prisoners was due to begin in August, but the presiding judge walked out, saying he could not stand over the trial. The attempted trial was described as a ‘pantomime’ and a ‘farce’. One of Ibrahim’s sisters who visited him in prison last month said he had been stripped naked and beaten with a metal bar. “Ibrahim has now been separated from his family for over a year, and the A-student has been prevented from continuing his studies with his friends back in Dublin,” said Lynn Boylan. Two charities, including Amnesty International, have investigated Ibrahim’s case and found no justification for his continued incarceration, Boylan said. Some 27 MEPs have signed a letter to the EU’s previous foreign affairs representative Catherine Ashton calling for the immediate release of Ibrahim, and Boylan said she now intends to request a meeting with the new High Representative, Frederica Mogherini. Email “New calls for the release of Dublin teenager Ibrahim Halawa in Egypt”. 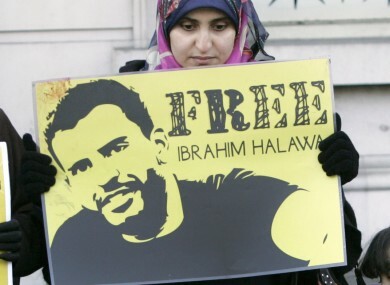 Feedback on “New calls for the release of Dublin teenager Ibrahim Halawa in Egypt”.